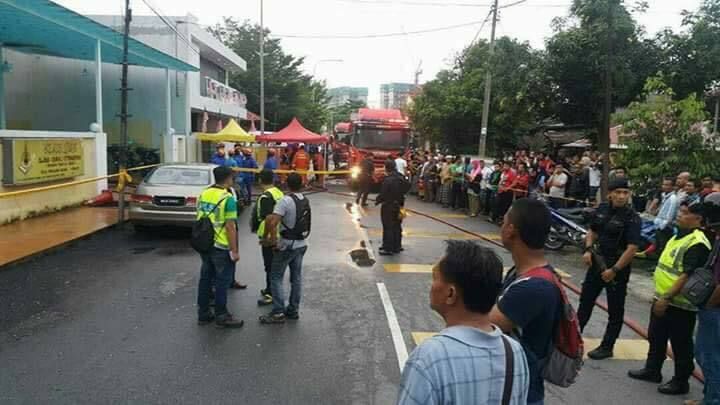 Just this year alone, Malaysia has experienced two high-profile cases involving horrific fire-related deaths. Needless to say, these cases shocked and concerned everyone in the country. In the first case, which happened in February this year, four family members tragically died in a fire caused by a short circuit in their own home. The daughter of the family, who wasn’t at home that night, is the sole survivor of the family. 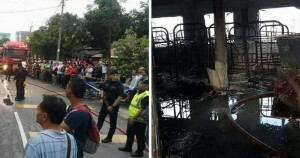 Then, just yesterday, another devastating fire broke out in a religious school in Datuk Keramat, killing 23 young children. The one thing both these cases have in common? The victims lost their lives because they were trapped by window grilles and couldn’t escape in time. So, this begs the question, are window grilles and safety systems in Malaysian homes and buildings really protecting us? Here’s what we found out. Let’s start with some statistics! According to a study published in 2015 by the Malaysian Journal of Forensic Sciences, one statistic report revealed that in 2013, there were 33,640 fires all over the country. That’s an average of 92 fires a day! What?! This followed an alarming trend, which saw an increase in fires since 2007, and in 2013 alone, those 33,640 fires reportedly cost us around RM20 billion in damages! What’s even more alarming is that structural fires (mainly caused by electric fires and unattended cooking) increased during that time. Also, in the first half of 2016, there were almost 300 cases of fires reported in residential buildings alone! That’s insane! From 1990 to 1999, it was also found that there was a total of 657 people who died from being trapped in a burning building. So, why aren’t people paying more attention to this? Do the authorities even have safety regulations to monitor these things? Well, turns out they do! The locking system must be manageable by the elderly and young children (even without parental supervision), anti-rust, easily maintained, and long-lasting. However, despite these guidelines in place, there’s still this alarming case to consider. In a report by Berita Harian from earlier this year, it was revealed that 40 high-rise apartment buildings in KL, among hundreds of other buildings in the country, violated a number of standards because many of them do not fulfill the criteria for having a proper fire prevention system. Some of them reportedly even have broken sprinkler systems, inadequate fire extinguishers, blocked or locked fire exits, and yes, you guessed it – safety grilles on their windows. 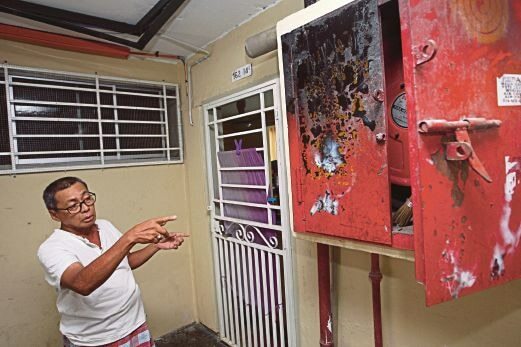 These buildings reportedly received a total of 1,688 notices from the fire department from January to May this year, which is very alarming for the people living there. For now, we’re not sure if anything has been done about these buildings that helped improve the safety of its residents, but given recent events, we really hope something is done about it! So, why aren’t these guidelines being followed? Well, there could be one possible answer. When Malaysian homeowners and business owners get a new property, many of them tend to think more about preventing break-ins and robberies, rather than safety precautions like an accessible fire escape. 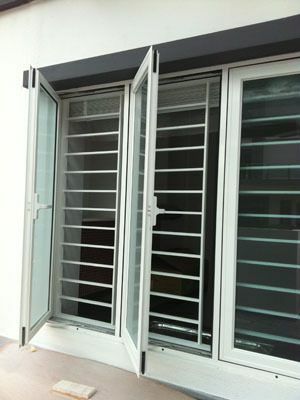 For example, in Malaysia, there are typically two types of window grilles that can be installed in homes and buildings, which are fixed and detachable grilles. Fixed grilles can’t be opened from inside and outside the building, while detachable grills can only be opened from the inside, making it possible to escape the building in the event of an emergency. However, most Malaysians tend to overlook detachable grilles, presumably because of security reasons. So, what’s the solution to this? We can’t just get rid of window grilles altogether, right? Well, since mentalities are the most difficult to change, the most we can do for now is offer better alternatives that can still protect us. According to the same UITM study mentioned earlier, it was found that window grilles that were key-less and had a push-up locking system were the most secure and the safest in the event of an emergency. 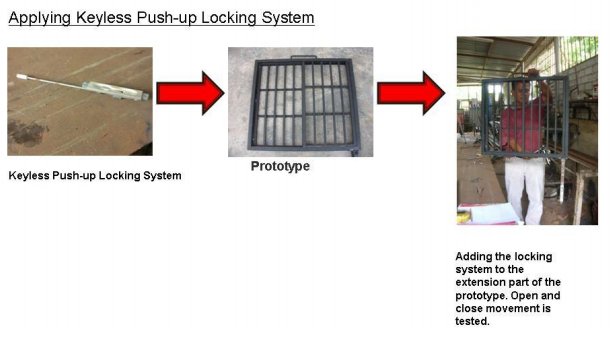 These key-less push-up systems can easily be opened by simply pushing the lock up to close the grille, while pushing down to unlock it. So, you don’t need to spend so much time looking around for a key in the event of a fire. 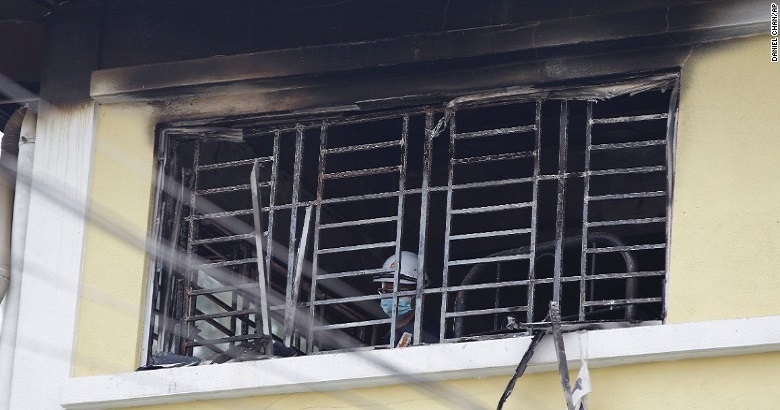 So, it looks like these grilles can indeed be improved to fulfill security and safety requirements, but it’s up to the relevant authorities to enforce the laws in order to prevent more tragedies like the religious school fire from happening again. Let’s make sure the deaths of these children weren’t in vain and that something more concrete comes out of this.